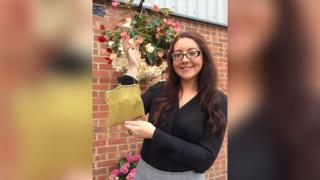 A handbag found during a garage tidy-up which was thought to be “junk” is set to be sold for thousands of pounds. When sisters Linda and Margaret Pritchard, of Denbigh, Clwyd, found the damp bag during a clear-out they earmarked it for the tip. However, it turned out to be a 105-year-old Art Deco gem made entirely from gold. It is now set to go under the hammer at an auction next month and fetch up to £3,800. Margaret, a former carer, inherited the bag eight years ago from Gwyn Jones, who she had looked after. Margaret, 59, said: “We came across the bag and I just thought we would never use this, so I said to Linda, ‘get rid’. Her sister took the bag to an optician for a closer look. “I thought [the optician] could look at it with his magnifying equipment for a hallmark,” said Linda. 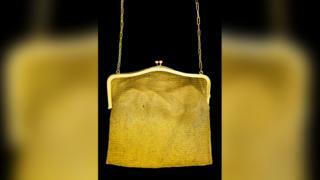 The chainmail evening bag, complete with leather lining, was designed by Emanuel Joseph and dates back to 1913. It belonged to Mr Jones’s wife Dora Jones, a wealthy socialite, and even boasts connections to two royal cruise ships. Mrs Jones’s first husband David Archibald was general secretary of the North Atlantic British Liner Committee but died in a car crash in 1963. 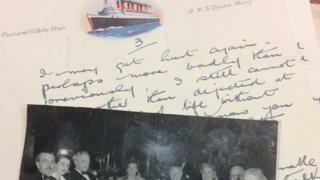 The bag was found amid photos of life aboard RMS Elizabeth and RMS Queen Mary in the 1940s and 50s. 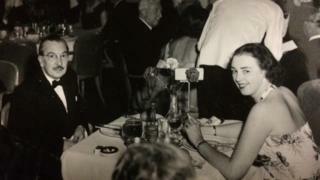 Jane Williams, valuer for Hansons Auctioneers in Wales, said: “The bag comes with amazing provenance including numerous photos of the couple aboard [the cruise ships]. Life on a luxury cruise liner is a far cry from the world in which sisters Linda and Margaret grew up. “We grew up in a council house where money was very, very tight,” said Linda, now a dinner-lady. “Our father was crippled by arthritis. We were very poor and never had anything. The bag is now expected to sell for between £3,500 and £3,800 in Hansons’ Fine Art Jewellery Auction on 10 October at Bishton Hall, Staffordshire. 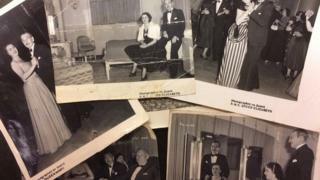 Charles Hanson, owner of Hansons Auctioneers, said: “It’s a wonderful find and a wonderful story.